“You can see my style coming out here – clean and mass producible. I love that you can use the Big Shot and the framelits to do most of the work on this card. 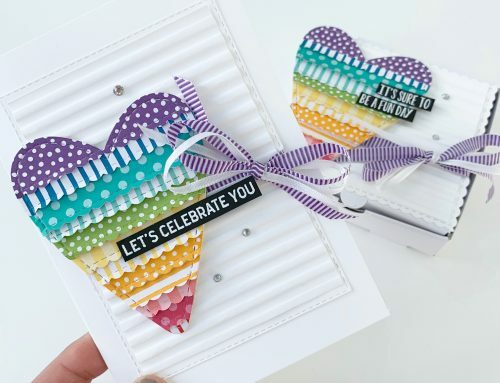 TIP: when working with the clear heart, you can lightly trace the outline in pencil, remove it, colour your cardstock, erase the pencil lines and restick the bling!" Oh! What a neat and versatile and dies set. Spring is here and this would help create some beautiful cards. Wish I could recreate these beautiful cards, they are awesome. Thanks for the chance to win this set from Stampin’ Up. Love their quality products. What wonderful “Springy” inspiration! Great give away too! Wow…What awesome projects!!! Really great ideas for this set. Heather’s and Tara’s cards and projects are really cute, and I love how they show us how to use the products in different ways! Stampin’ Up! is a favourite company of mine, and I love so many of their products. This grouping is no exception, and I’d love to win! Thank you so much for the chance!!! Love this gardening theme – so versatile! My daughter and I are trying to grow plants on our deck this year. Hope it works but at least we can make our pots look pretty if it doesn’t. 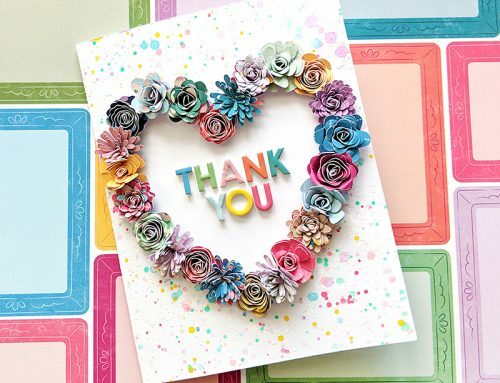 Oh my goodness, I can’t believe all of the wonderful projects these gals made with this stamp set and dies. It is so versatile! Great work, would love to win and make some of these cards to give away! This Garden set looks so versatile… I’d love to own it. I’ve already seen this set in their catalog and was drawn to it! I love the gardening theme! congrats to Marlene for winning last month’s great prize pack! Hopefully Spring is on the way – if nothing else – Spring is here in cards. working in my garden is probably a tie with papercrafting for me as hobbies/enjoyment! These combine both – – love it!! wow–what great projects! loving all the stamps and dies ideas!! Spring is in the air and the hope of gardening–and card making or scrapbooking about it!!! Loved the samples, too! Beautiful projects! Love the versatility of the Framelits! That gardening set of stamps and dies is really peaking my interest all of a sudden. Thanks Heather and Tara for convincing me I have to have this set so I can CASE your many and marvelous ideas. 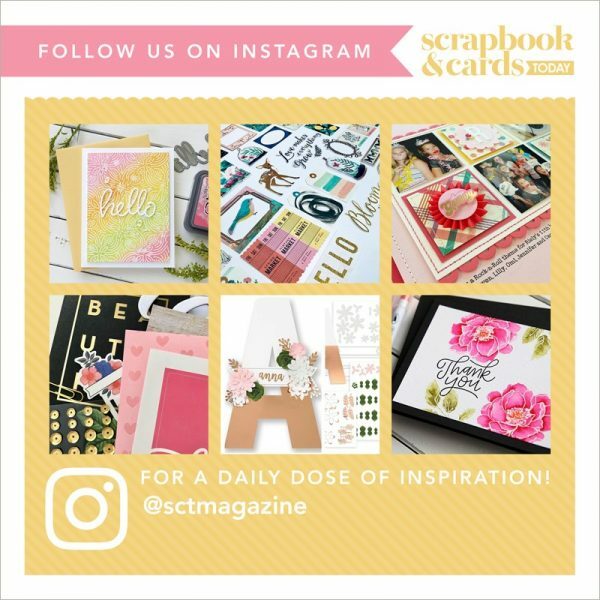 Thank you both for the inspiration and thank you Scrapbook and Cards Today and Stampin’ Up! for offering such a wonderful prize! This is an awesome giveaway to start the spring season! These are such beautiful products! Great projects all around. I love the border on Tara’s card. Thanks for the inspiration. Love the inspiration, love the berry basket. What a great Spring set. Love the little trowel die! Thanks for all the lovely inspiration. Who wouldn’t love to win this prize? It is georgeous. Love the Garden bundle. Oh my gosh … I love this gardening stamp set and dies! To die for! What a fab set! I especially love the shaker with garden tools in it!! Love the cards. The stamps and framelet dies would be so much ffun to play with. Would love to win thse! Wonderful creations. I love how versatile this stamp set is and how creative you could be with it. Beautiful cards! I love the little flower pots! These products would be great to make cards for my MIL to give to her gardening friends. What a great set of cards. I love the little flower pots. They are so cute! So many great ideas I could copy if I won this fabulous set. Thanks for the chance to win! Awesome inspiration with that cute stamp set! Thanks for a chance to win it! Gorgeous and fun cards by the ladies. That garden set looks so fun. I love the little flower pots. Thanks for the inspiration. Love all things garden! Thanks SCT and Stampin’ Up! this will make unique greeting cards. Love the little identification tag. will also be great for little plants that the Civic Club gives for favors at the dinners. Sweet products! I always love everything from Stampin’ Up! This garden set is awesome. Love the cards. wow these are gorgeous.. those butterflies are lovely.. thanks for sharing..
Love all the projects, but the strawberries and strawberry box are my favourite….so sweet!!! Gardening is my favorite hobby next to scrapbooking. This Garden bundle has endless possibilities and Heather and Tara showed many ways to use this set. Love all of ‘showcases’! Love the little plant markers! What fabulous projects and sweet stamps! I love the From the Garden bundle- some great, fun, versatile goodness there! It’s definitely a set I’ve been seriously considering. It is hard to think about gardening with the snow blowing like crazy once again outside, but it is my passion besides scrapbooking! Lovely set! What an awesome set! I just love the card with the stacked flower pots! All the other projects are awesome! What a lovely garden set. Love the cards made. Being an avid gardener I just love those lil plant pots with the flowers. Thank you so much for a chance to win. I love these garden sets! Just gorgeous! This set is PERFECT for spring time! I love the framelits that go with this set. So fun and so versatile! Wonderfully fun springtime projects with these adorable stamps and dies! 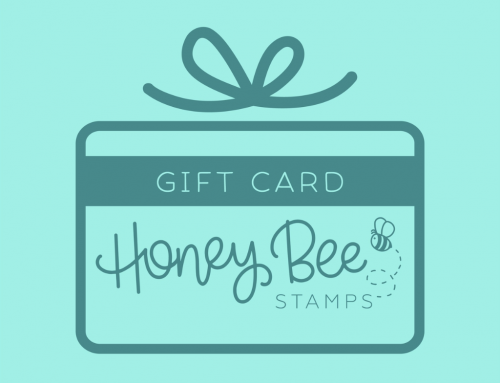 I love Stampin Up and would love to win this! Great set of dies and stamps. Thanks for showing us creative ways to use the framelits. I know I can find space on my shelf for this set. Thanks Stampin’up. What a neat stamp and die combo. I love the little flower pot die. Thanks for a chance to win. Thank you for some great card ideas! Great set, I can imagine myself labeling every gift as if it were a plant! I would have never thought twice about this set of stamps and dies had you not showcased them. Great job on a really neat product! Thanks!! THANK YOU for sharing your CREATIVE INSPIRATION Heather & Tara!!! Great projects Heather & Tara, thanks for sharing. Love this set and sentiments, very versatile with the matching framelits. Would love to have a play with these goodies. Love the versatility of this set! Thank you for sharing such great creations with this set! I love all the projects which showcases how versatile this set is. The cards are really cute. 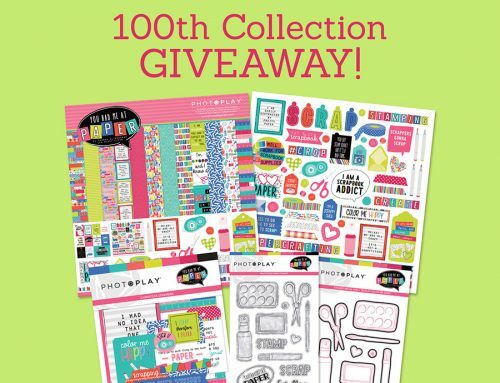 Love Stampin Up products and would love to win this set. What a versatile set of stamps & dies as shown by all these wonderful creations. Thanks for the chance to win. Great inspiration! And I love the From The Garden set! Beautiful! I’ve seen this garden stamp and dies in a catalog. Love them! It’s a great bundle! So many different things you can do with it. Love stampin up stamps & die cuts . Lovely projects. I’m a gardener so I would love to have those dies and stamps. Awesome! There would be lots of uses for those in my crafting projects. Love this garden stamp set. Would make pretty cards to give out for Spring! Thank you for this giveaway. Love the stamps and would love them even more if I could use them in my scrapbooks and card designs. Absolutely love the “Grow with Love” card!! Looks like an excellently fun set and you have given us tons of fun ideas and inspiration!! So exciting!! Wow, Heather & Tara shared such inspiring projects! It would be so much fun to play with the gardening stamps and dies. Thank you for the chance to win them! Beautiful cards and What a great set!! Thanks for the chance to win. It is indeed spring! And this is the perfect collection to celebrate it! Great way to kick off the spring season upon us. Should be a great seller !!! great spring giveaway! the stamps and dies will make great cards/gifts for mothers day and also for gardeners! What a wonderful garden set. Perfect for springtime and gardeners who love to create. Great projects! Love the tip about the clear heart. Thanks for the chance! Love the garden collection …perfect for the summer months! I love to garden and can’t wait for all the flowers to start blooming! Thanks for the chance!! As a gardener this makes gardening fun. I can see all the fun gardening signs, gift tags, canning labels and more from this fun set. Wonderful prize pkg. Thanks for the chance. Love that berry basket and the cute bag also, very versatile set! What a great prize package this is. Would love to win it. Love everything made with these stamps and dies. Great projects. Thanks for the chance to win them. A nice welcome to spring prize package!! Thank you for the chance to win. Great set of stamps and dies but I would expect nothing less from Stampin’ Up. They are always coming out with something cool and on trend. Gardening is a sure sign of spring and summer, and what better way to celebrate it than making a cute gardening themed card! Thanks, SCT! Loving all the wonderfully made cards 😀 What a great spring time set! Love the Garden stamp set. The flower pot is so cute. Thank you for sharing and a chance to win. such a versatile stamp set and die! Fabulous! I love all the garden themed stuff!!!! WOW these kit are gorgeous. And I love the inspiration projects using the kit. Thanks for sharing! Such a darling set and so versatile. I love the little flower pots. The From the Garden collection is too cute and much more versatile than the title implies. I would just love to win this collection as I have a 6 yr old granddaughter that loves, loves, loves to grow flowers. I can see many cards and LO in the future with this collection. Thank you for this opportunity to win. What a great set. I could see using this grouping in lots of cards. Thanks for the chance to win. The cards are awesome. There is so much to dowith this set. Such wonderful inspiration with this stamp and die set. I can think of so many projects to use it with. Thanks for the chance to win them. What a fun stamp and die set. I don’t garden, but there are so many ways to use those images. Love the tiny pots, and the sign… wonderful projects. Love this set!! What a great idea! Thanks for a chance to win. That basket of strawberries is so cute! Love it! These are such beautiful, fun projects…thanks for sharing! What a stunningly beautiful array of samples made with this versatile bundle. The little dies, especially the trowel and flower pot, are darling. How fun to make projects using these elements, now that spring is finally here. Thanks for the inspiration! I have had that bundle on my wishlist for ages, but somehow can’t commit to buying it … yet! Every time I see some projects made with it I love it more. Thanks for the chance to win!! Just thinking of all the things that could be done with this gorgeous set, and such beautiful cards. From The Garden stamp set and the Handpicked Framelits are absolutely awesome!!!! I’ve always loved Stampin Up they are the best!!!! Hope to win such beautiful products!!!? Looking at this collection sure makes me think of spring even when the weather outside isn’t! Hope springs eternal! How cute! Love the little flower pots. Who would have thought to make Garden tags – SU of course. I love that pencil idea! I totally wouldn’t have thought of that! Don’t garden but know scrappers that do so would end up sharing this kit if I won. Love Stampin Up products. Such adorable cards! Love these projects! I am loving the gardening theme, and your cards were a terrific inspiration. Here’s hoping I will have a chance to re-create some of them! Thanks for the chance to win…I make cards for the garden club’s raffle. What beautiful samples you have done. what great projects! Thanks for the inspiration. Beautiful cards! I love the versatility of this stamp set! You people are so creative! I never would have thought of half of these ideas! You made me see possibilities that I had missed with the dies. Thanks so much? What a fabulous set! And the pencil is such an amazing out-of-the-box idea. Thanks for sharing! This set and accompanying framelits are planting lots of great ideas for my Mother’s day projects. Great seeds! Love these, such pretty cards, thanks for the giveaway and inspiration. I was amazed at how versatile this garden set is! (It’s not just for gardening in the dirt!) What a fabulous set with more ideas coming to mind as I look at the cards that were made. Thanks! Oh-oh-oh! I just can’t wait to get out in my garden! What a fun set to go along with what I’m growing. Thanks for sharing all the fun! Just what I need to get me in the mood for Spring! Love Stampin’ Up! for these wonderful products and ideas. How wonderful! I have so many friends that love to garden and would love something made with these stamps and dies! Thanks so much for the chance to win! What an adorable set! The dies are perfect…love those little pots. Such great projects from some talented ladies. I would love this set for some great spring cards! Wonderful stamp & die set! Such fun, love the projects, and the ‘thinking outside the box’! I love Stampin’ Up! This garden set is gorgeous! I’ve thought about it many times but after seeing the cards that the collection can make, I think I have to own it! Beautiful! This stamp and die set are adorable and I love the beautiful cards showcased. How fun! The garden set is soooo fresh and fun . Would love to win! So cute!! And, it so makes me want to get out and turn some soil!!! Cool stamp set and accessories! I would love to win it! Such pretty cards and a welcome addition to spring designs! I saw this stamp set for the first time last week and fell in love with it! It reminded me of my dad, who made his own labels for the plants he grew on our nursery and garden centre when I was a child! So versatile, with so many uses! So much can be done with one set. I love all Stampin Up products ! What awesome inspiration! Love the From the Garden set! 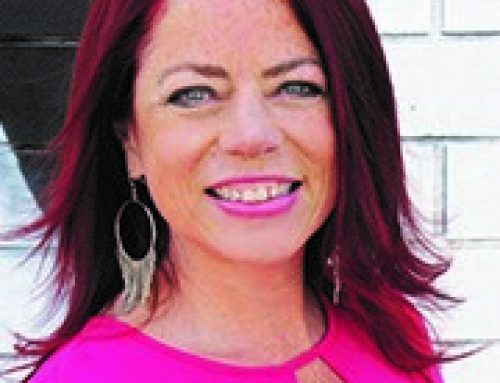 Wow – great inspiration! Thanks for sharing. Gorgeous stamps and dies! Your cards are beautiful! What a beautiful give away. Thanks for the opportunity. Beautiful projects! These stamps/dies are so cute! Whoever came up with the ideas for these needs a raise! Love the garden tags- super fun & cute! I could go to town decorating my husband’s garden with crafty goodness!!! I love gardening and I love this stamp set! Thanks for giving me a chance to win it and use it this Spring! I love the dies! So versatile and cute combined with the stamps! Hope I win!! I really like the way you used the flowerpot. A really cute touch. Great cards and so much inspiration! Thanks for the chance to win some Stampin’ Up goodies! So cute! I love gardening too. Thanks for the chance to win blog candy. The cards you showed today are great! I love gardening, and these items are just adorable! Thanks for all the inspiration! Wonderful new Stampin up goodies! Love all of the shared projects! Love this set! Spring is really here! This set would also work great for Mother’s Day. Thanks for the easy to make cards. This never ending winter is making me itch to get out and get dirty in my garden. This die set will get me going to make my tags in the meantime. Wonderful set to cultivate great friendships. The shaker tag is really cute. I love the ideas. Beautiful cards. Thanks for the giveaway. That looks like a really fun set! 🙂 You could do so much with it. Stampin’ Up! has some really neat stamps. These cards are awesome! I looked over that stamp set in the catalog, but now, it’s on my wish list. thanks for sharing. This must mean that spring is around the corner! Yeh! The ‘from the garden’ is adorable. The cards are so cute! Such a nifty set. Cards, scrapbook, AND cupcake decorating! Fabulous! Love the From the Garden set – and the inspiration from these projects is amazing! Great job ladies! I love this shot of Spring!! Thanks for the chance to win. Love the versatility of this set. Great ideas to inspire! Had looked at this set and decided against it as I couldn’t see myself using it. After seeing these cards and how versatile the set is I can’t wait to get it. Thanks for the inspiration ladies. You rock! I didn’t really want this framelit set…until now…that tag is so cute, and I love the Best Buds card! I’m definitely going to reconsider!! The from the Garden Stamp Set and Handpicked Framelits are on my wishlist to play with … such a cute little set for spring! I’ve looked at the From the Garden stamp set and matching framelits a few times in the SU catalogue and I wasn’t inspired, however after looking at these amazing and diverse projects I want it! Wow thanks for the great ideas! I had a hard time imagining this set used for anything other than the obvious garden tags. This post has inspired me. Thank you. These projects are so spring like! Thanks for sharing! Another great set from Stampin Up!